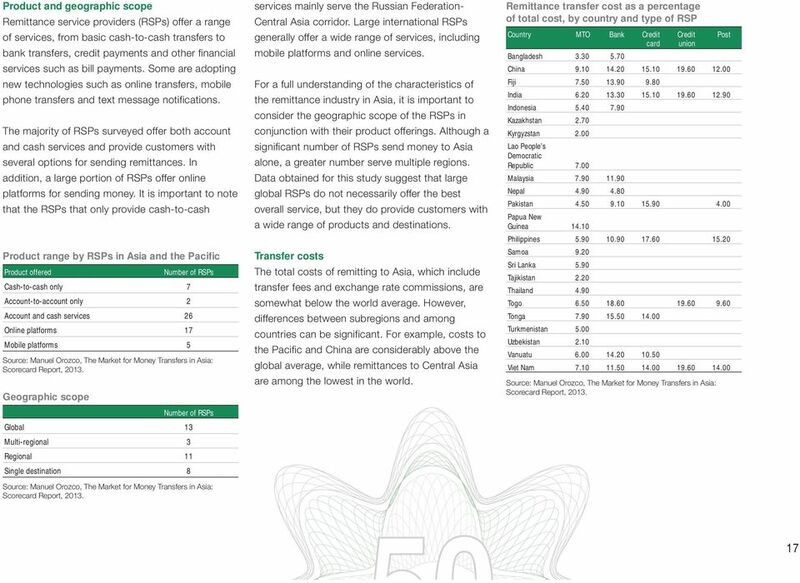 Download "Sending Money Home to Asia. 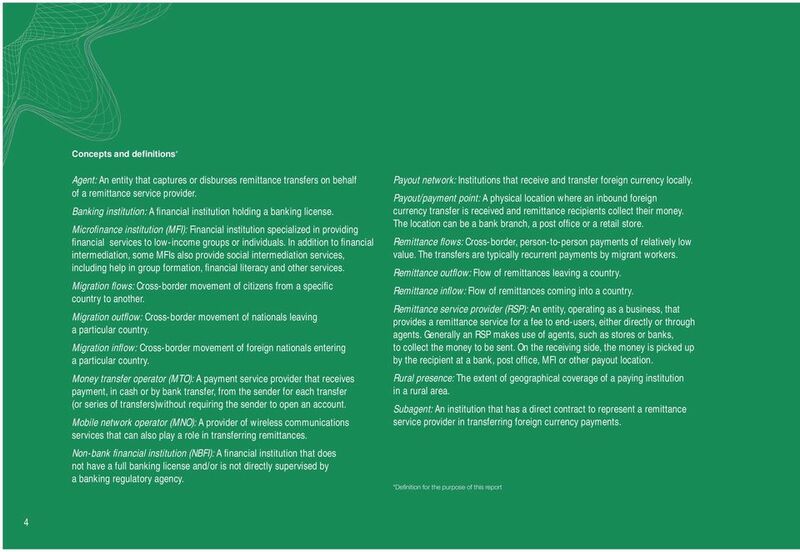 Trends and opportunities in the world s largest remittance marketplace"
12 outflow and inflow of migrants increased in almost migrants to work in their expanding economies every country over the past decade, with the than they are sending abroad. 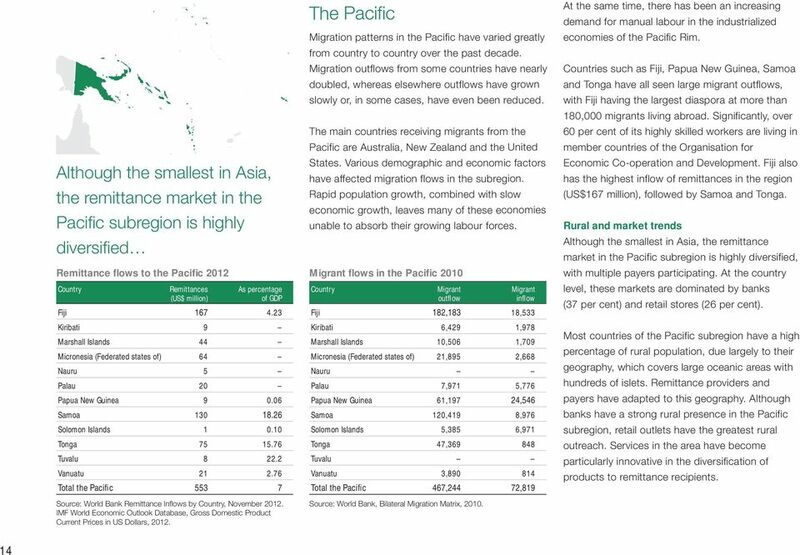 These three countries largest outflow from the Philippines (4.28 million) alone now host almost 6 million migrant workers. 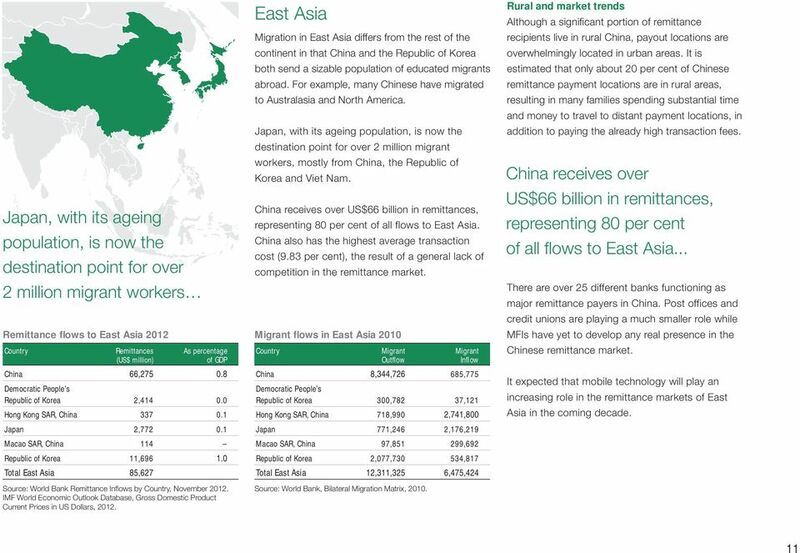 and the largest inflow to Malaysia (2.36 million). 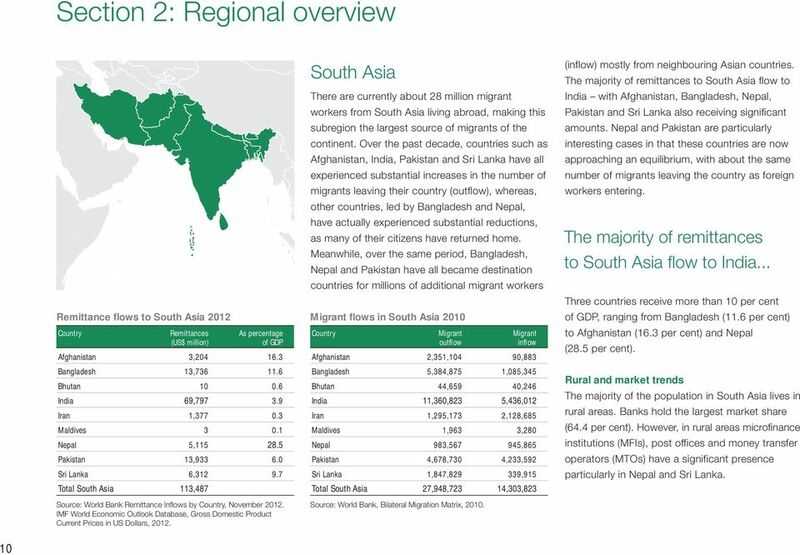 This is more than double the number of their own citizens migrating abroad. 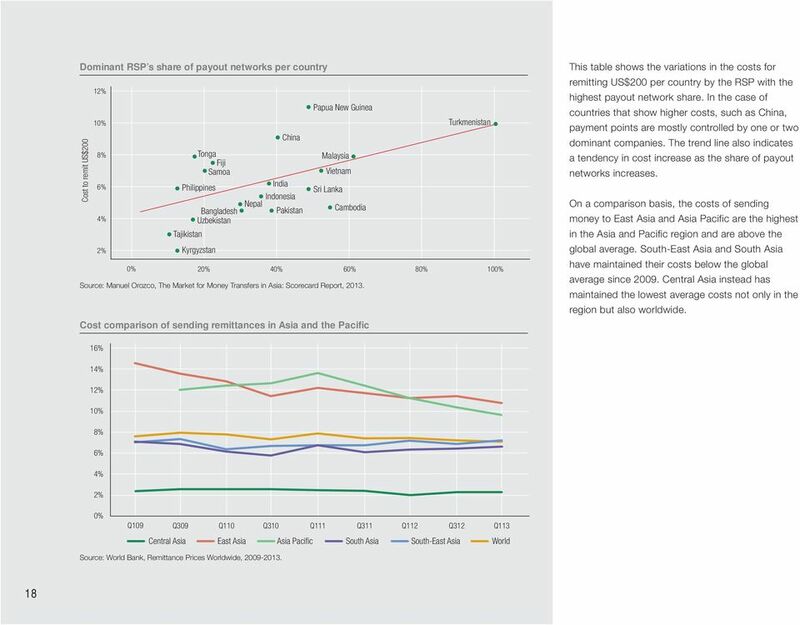 However, Indonesia, Remittance inflows from 2000 to 2012 significantly Myanmar and Viet Nam continue to send increased in every country in South-East Asia. The significantly more workers than they host in return. 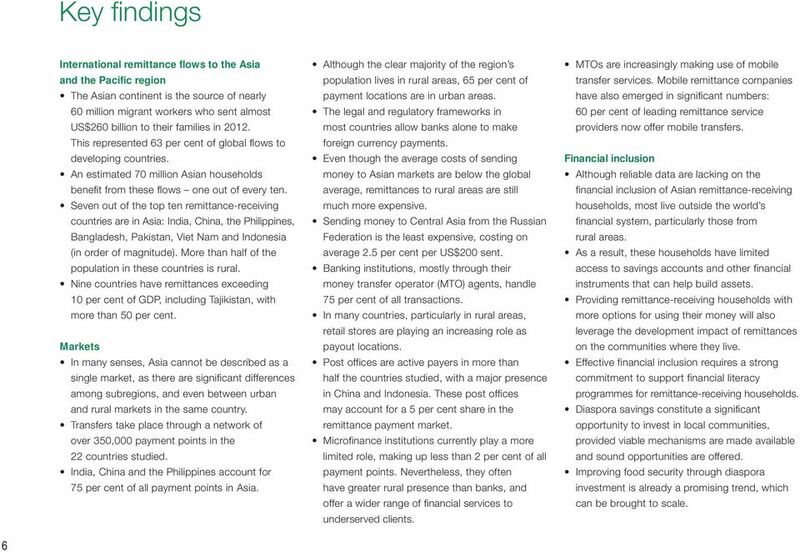 Philippines, the third largest remittance recipient in the world at US$24.3 billion and over 10 per cent of GDP, accounts for over half of all remittances to South-East Asia is probably South-East Asia. 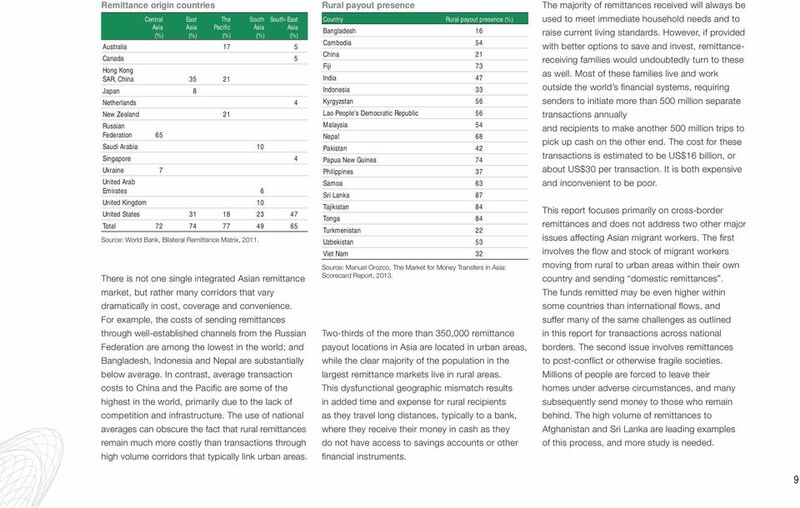 the world s most dynamic and South-East Asia South-East Asia is probably the world s most dynamic and diverse remittance market, with almost 13 million migrants living abroad. 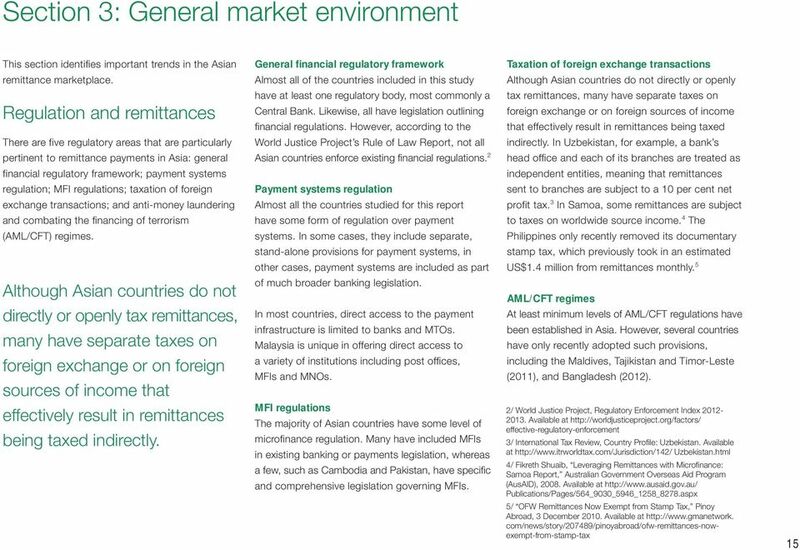 Both the Other major remittance recipients in the subregion are Viet Nam (US$9.1 billion), Indonesia (US$7.2 billion) and Thailand (US$4.1 billion). 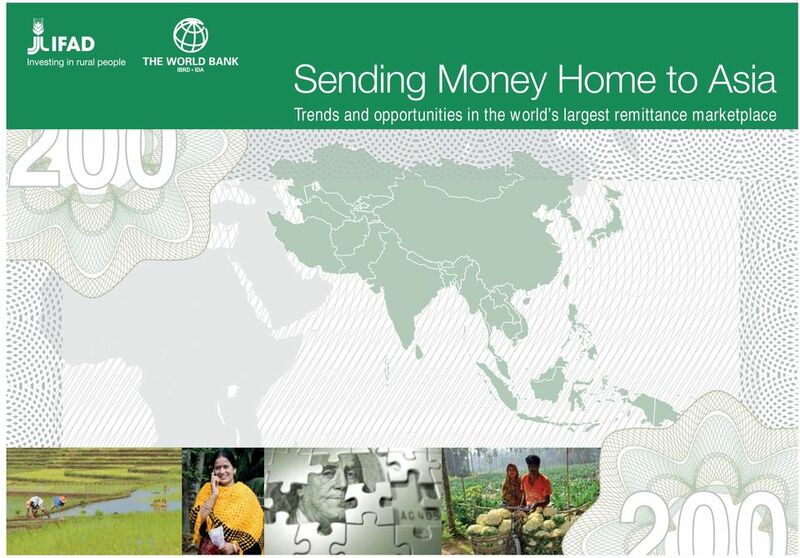 At the same time, Malaysia, Singapore and Thailand are now attracting significantly higher numbers of diverse remittance market, with almost 13 million migrants living abroad. 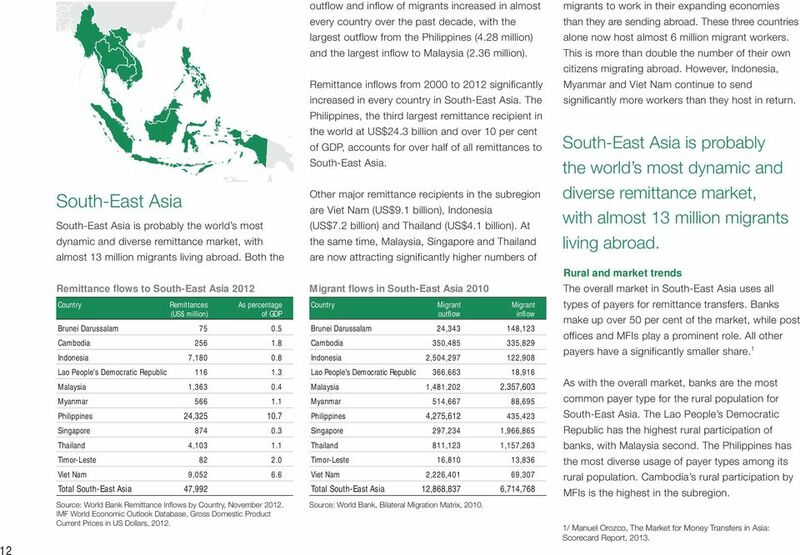 Rural and market trends Remittance flows to South-East Asia 2012 Migrant flows in South-East Asia 2010 The overall market in South-East Asia uses all Country Remittances As percentage (US$ million) of GDP Brunei Darussalam Cambodia Indonesia 7, Country Migrant Migrant outflow inflow Brunei Darussalam 24, ,123 Cambodia 350, ,829 Indonesia 2,504, ,908 types of payers for remittance transfers. 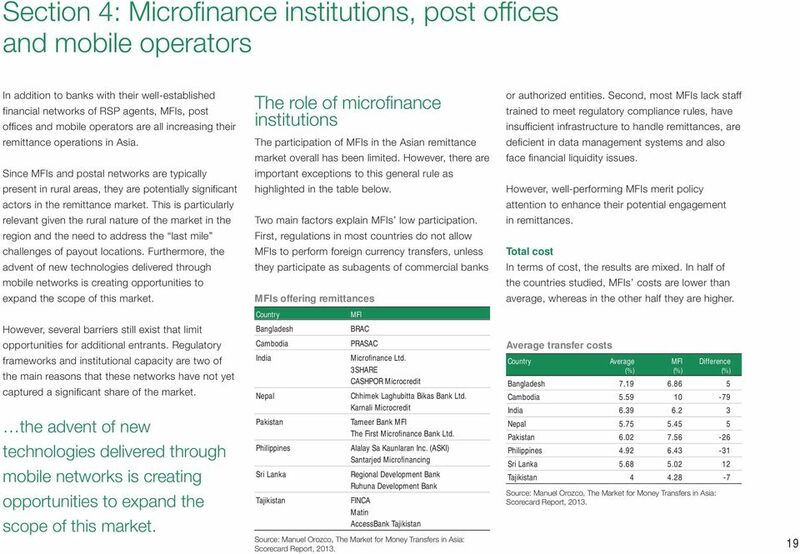 Banks make up over 50 per cent of the market, while post offices and MFIs play a prominent role. 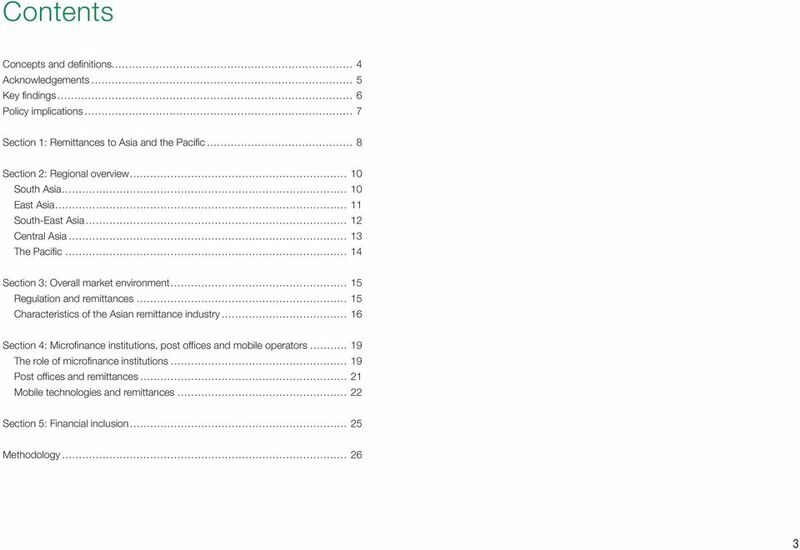 All other payers have a significantly smaller share. 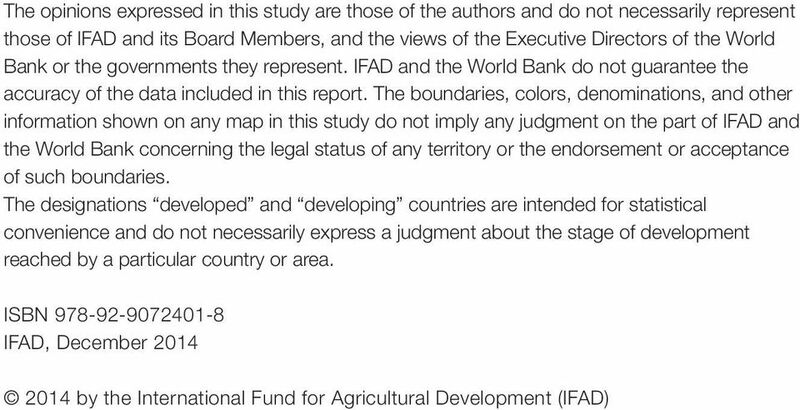 1 Lao People s Democratic Republic Malaysia 1, Myanmar Philippines 24, Singapore Lao People s Democratic Republic 366,663 18,916 Malaysia 1,481,202 2,357,603 Myanmar 514,667 88,695 Philippines 4,275, ,423 Singapore 297,234 1,966,865 As with the overall market, banks are the most common payer type for the rural population for South-East Asia. 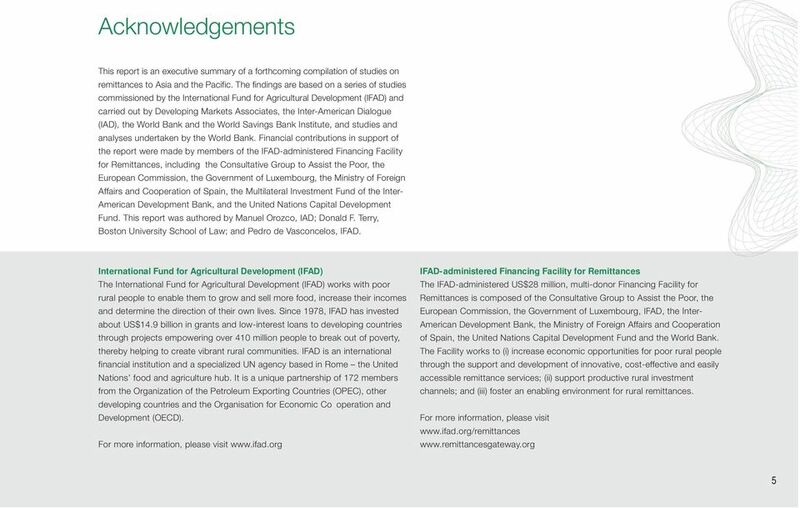 The Lao People s Democratic Republic has the highest rural participation of 12 Thailand 4, Timor-Leste Viet Nam 9, Total South-East Asia 47,992 Source: World Bank Remittance Inflows by Country, November IMF World Economic Outlook Database, Gross Domestic Product Current Prices in US Dollars, Thailand 811,123 1,157,263 Timor-Leste 16,810 13,836 Viet Nam 2,226,401 69,307 Total South-East Asia 12,868,837 6,714,768 Source: World Bank, Bilateral Migration Matrix, banks, with Malaysia second. 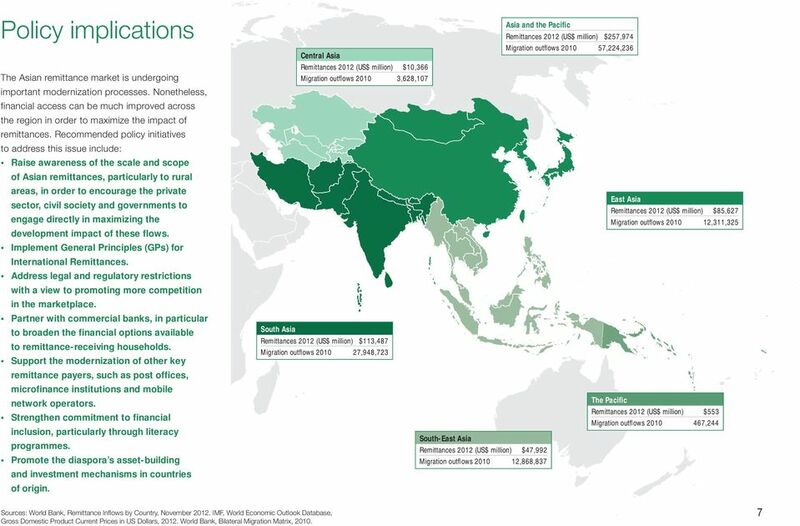 The Philippines has the most diverse usage of payer types among its rural population. 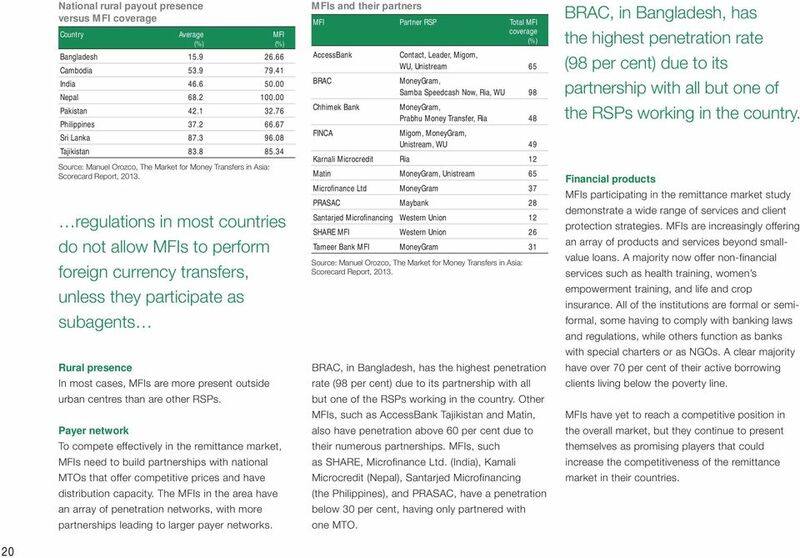 Cambodia s rural participation by MFIs is the highest in the subregion. 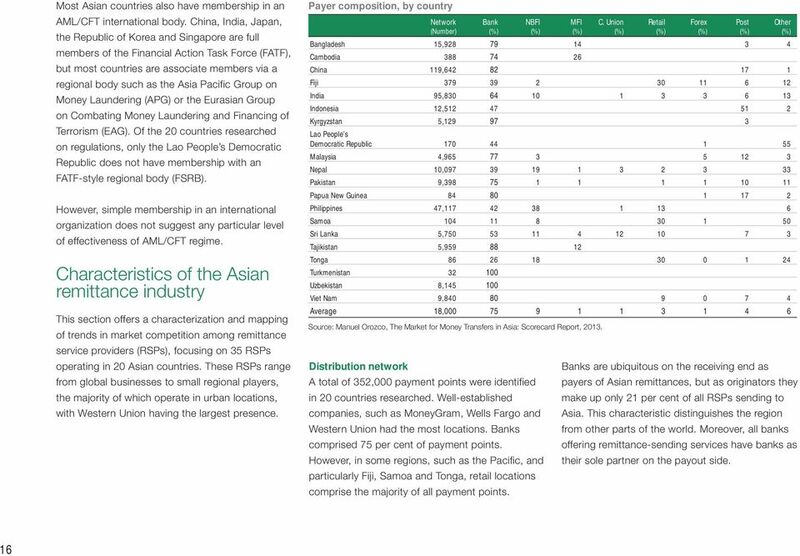 1/ Manuel Orozco, The Market for Money Transfers in Asia: Scorecard Report, 2013. April 29, 2016 Vol. 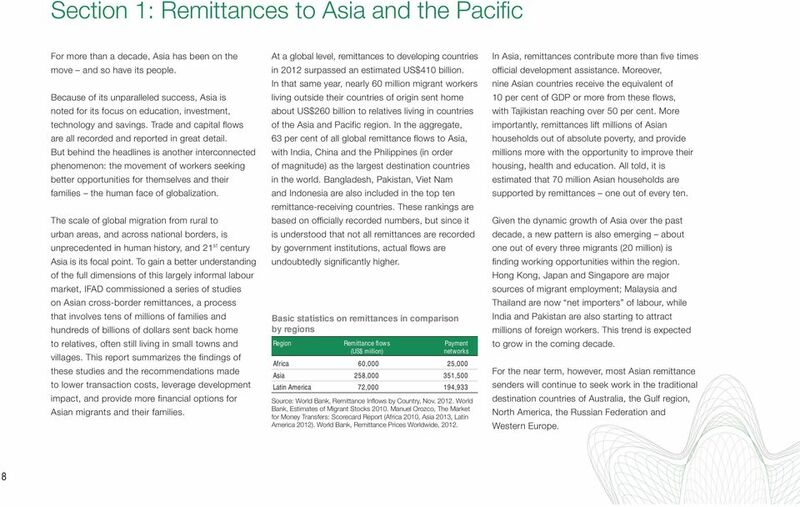 6 No.10 Remittances from Korea to Southeast Asia: Trends and Implications OH Yoon Ah Research Fellow, Southeast Asia and Oceania Team, Department of Asia-Pacific (yaoh@kiep.go.kr) I.
iii. 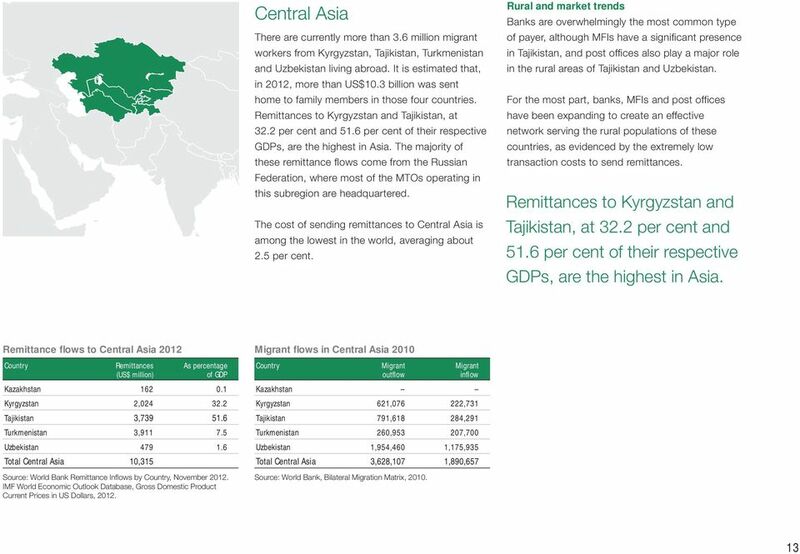 Vision: promoting Decent Work for Afghan workers (men and women) overseas and regulating foreign workers in Afghanistan.